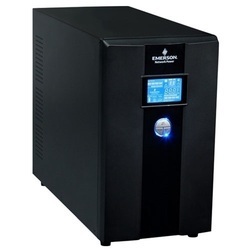 Leading Manufacturer of emerson 1kva online ups, emerson 3kva online ups, emerson 6kva online ups and emerson 10kva online ups from Chennai. Active Input Power Factor Correction 0.99. Wide Input Voltage window ( 110 – 280 Vac ) for Indian Environmental Condition and for Optimized Battery Performance. 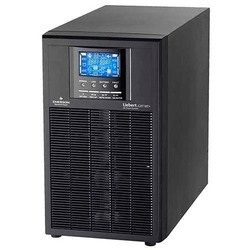 Emerson Liebert GXT MT Plus CX 3KVA is a true on-line UPS, which is designed to offer efficient, compact and reliable solution to modern electronic appliances. It features true double conversion online backup power solution for small data centre, voice networks, data networks and process automation. It offers protection from blackouts, noise interference and brown outs. Office Networks and Business Critical Continuity. Terminals (VSAT) PBX and IT Enabled PBX. 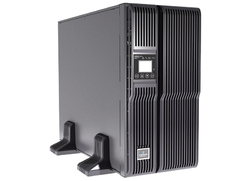 A most compact UPS developed for harshest power conditions.Liebert ITA provides high density,true double conversion online power protection for servers,voice-data networks and light industrial applications.Capable of delivering loads from 6kVA to 40kVA in a rack-tower convertible form,liebert ITA is available from 2U to 4U.Liebert ITA series provides customers with a reliable source of uninterrupted power even in demanding power environments,including very wide input voltage window,extremely tight output voltage regulation,frequency regulation,internal bypass,and input power factor correction. 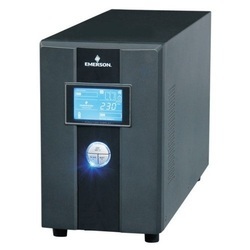 Looking for Emerson Online UPS ?